Arizona is a regular destination for visitors and for transplants. Diverse and upscale cities like Scottsdale, Flagstaff, and Sedona drive the demand for hot chefs and inventive cuisine. For culinary students, Arizona represents a fertile desert landscape of creativity and culinary expression. Progressive chefs in Arizona have grown committed to natural and regional ingredients so their dishes reflect the bounty of the land. Arizona food culture represents a melting pot of influences that emphasizes Spanish and Mexican cuisine. Tucson and Mesa are thriving metropolitan areas that account for over 500,000 residents each and Phoenix is each populated with over one million permanent full-time residents. With that many hungry mouths to feed, there are plenty of places for talented chefs to show their chops. For students, this provides an extensive pool of mentoring opportunities within the craft. It is easy to get a formal culinary education in Arizona. The state is actually known for having a lot of community colleges, which lands it squarely in the career path of wayward cooking students. The two-year degrees dispensed by such schools are perfect vehicles for a comprehensive chef’s education. 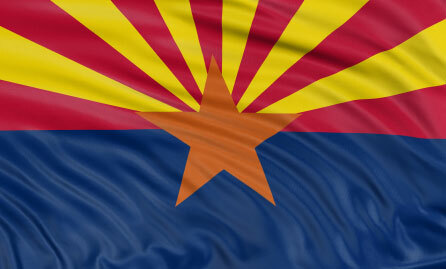 Arizona boasts one of the most solid traditional food environments in the country. The traditions and cooking methods that exist there today are amazingly similar to the practices that have defined their food quotient for a century. Farming methods are maintained in generation spanning traditional ways to produce one of the country's most impressive catalog of heirloom agricultural products. The Cattle industry is characterized by a wide variety of livestock that represents one of the most diverse collections of breeds in the country, that are rarely raised elsewhere. The food culture has advanced while clinging to the ancient traditions of corn and vegetable farming that account for some of the earliest agricultural efforts known. But there is more to the modern scene in Arizona than Prickly Pear Cactus and beans and rice. Culinary students should engage in the local food culture as a regular part of their education. Festivals and events that are centered around local food trends are great networking opportunities for students who wish to work in the area. Lettuce Days - This festival is steeped in Arizona agricultural tradition. Yuma produces a lion’s share of the winter lettuce consumed in the United States, so the crop is the star of this festival. Celebrity chefs embrace the salad capital of the world with displays of lettuce manipulation that wow crowds. Wine and Arts Festival – Three day festival for serious wine and food pairings. Restaurants offer variations of the wine dinner during the festival. The Carefree, AZ festival is touted as the largest wine tasting in the country. Festival of the West – This fest gets back to the roots of old west cooking. It’s a great place for a student chef to soak up the flavors of the variety of beef breeds raised in AZ. Chuck Wagon Cooking Contest transforms the indigenous livestock into food that conjures the olden days. Garlic and Onion Festival – This June festival celebrates the harvest of another important Arizona crop. As a chef, there are few ingredients that you turn to more than these, so the opportunity to embrace their source is a windfall for a wayward culinary student. If you are a student who wishes to make a smooth transition from culinary school to coveted employment in the Arizona hospitality industry, it is wise to use all resources available to you. Use your schools’ resources: job placement help centers, resume and interviewing assistance and always opt for an internship or apprenticeship when offered as part of a culinary arts program. Working locally while pursuing a degree or certificate can lead to full-time employment. Draw on your own networking skills to open as many culinary doors as possible along the way. Interact within the local culinary scene to make contacts with other culinary professionals. When you are ready to land the chef job of your dreams it is important to have an insider’s advantage. Arizona Culinary Institute - Scottsdale can give you top-notch culinary or pastry arts training and THEN put you into a very good job in an area restaurant. Get your chef whites dirty in four distinct training kitchens outfitted with state-of-the-art equipment. Test your skills in the student-run Du Jour restaurant. This is a 9-month diploma program. Scottsdale Culinary Academy – Le Cordon Bleu is affiliated with the original academy of the same name in France. Students are steeped in classic French culinary technique and some traditional American methods. Grads from these programs are highly respected. Major in these study tracks: Le Cordon Bleu Culinary Arts, Le Cordon Bleu Patisserie and Baking, Le Cordon Bleu Hospitality and Restaurant Management, and Le Cordon Bleu Culinary Management. Bachelors, Associates and Certificates available. International Culinary Schools at the Art Institutes of Phoenix is one of the most popular programs in the U.S. With over 30 locations, the AI turns loose hundreds of highly trained chefs annually. The Phoenix campus offers a Bachelors degree in Culinary Management; and Associates degrees in Culinary Arts or Baking and Pastry Arts. International Culinary Schools at the Art Institutes of Tucson is one of two AI culinary programs in AZ. Emphasis is on international cuisine beginning with classic/traditional French, the foundation for many of the Western cuisines. Programs of study include: Bachelors Culinary Arts, Associates Baking and Pastry, Associates Culinary Arts.